On Jan. 2, civil penalty amounts for violations of workplace safety and health standards increased by two percent from last year. 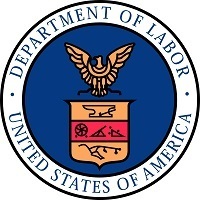 In accordance with the Federal Civil Penalties Inflation Adjustment Act Improvements Act of 2015, the Department of Labor is required to adjust penalties for inflation each year. New penalties for willful and repeat violations are $129,336 per violation; serious, other-than-serious, and posting requirements are $12,934 per violation; and failure to correct violations is $12,934 for each day the condition continues. More workers lost their lives in transportation incidents than any other event in 2016, accounting for about two out of every five fatal injuries. Workplace violence injuries increased by 23 percent, making it the second most common cause of workplace fatality. The report also shows the number of overdoses on the job increased by 32 percent in 2016. For OSHA's statement on the data, see the news release. OSHA reminds employers of their obligation to post a copy of OSHA's Form 300A, which summarizes job-related injuries and illnesses logged during 2017. Each year, between Feb. 1 and April 30, the summary must be displayed in a common area where notices to employees are usually posted. Businesses with 10 or fewer employees and those in certain low-hazard industries are exempt from OSHA recordkeeping and posting requirements. Visit OSHA's Recordkeeping Rule webpage for more information on recordkeeping requirements. OSHA and Bartlett Grain Company LP have reached a settlement agreement that requires the company to implement safeguards, training, and audit procedures at its 20 grain handling facilities. The company will pay $182,000 in penalties. The settlement resolves contested citations issued after six individuals died and two others were injured in a grain elevator explosion in April 2012. For more information, read the news release. Nox US LLC, an Ohio manufacturer of vinyl tile, faces $514,236 in proposed penalties for machine safety violations. OSHA responded to two separate reports of worker injuries in June 2017. One worker required surgery after his hand was crushed. Less than two weeks later, another worker suffered partial amputations of two fingers. OSHA cited the company for failing to use adequate lockout/tagout procedures and devices to prevent unintentional machine movement, not training employees, and exposing employees to fall hazards. The company has been placed in OSHA's Severe Violator Enforcement Program. For more information, see the news release. Tampa Electric Co. and Gaffin Industrial Services Inc. were cited after five employees were fatally injured, and one other seriously burned by molten slag. An OSHA inspection of the Big Bend River Station electrical power plant in Apollo Beach, Fla., resulted in violations that included failing to develop and follow energy control procedures, and provide personal protective equipment. The companies were proposed penalties totaling $160,972. Read the news release for more information. OSHA has cited Stalwart Films LLC for failing to protect employees from fall hazards while filming the show, “The Walking Dead.” OSHA issued a serious citation and proposed penalties totaling the maximum allowable fine of $12,675. OSHA investigated Stalwart's filming location in Senoia, Ga., after a stuntman was fatally injured after falling more than 20 feet. For more information, see the news release. OSHA cited three companies that worked on the renovation of Chicago's Old Post Office for failing to protect employees from lead and cadmium exposure during sandblasting operations. American Demolition Corp., Valor Technologies Inc., and Tecnica Environmental Services Inc. failed to comply with OSHA's respiratory protection standard; provide training; and properly handle personal protective equipment. The companies were cited for a total of 31 violations and combined proposed penalties of $220,497. For more information, read the news release. California OSHA issued $55,650 in penalties to International Polymer Solutions Inc. in Irvine after a worker was seriously injured when a moving machine part flew off and struck them in the chest. Cal/OSHA inspectors determined that the company failed to properly control hazardous energy when employees were cleaning, repairing, servicing, and setting-up or adjusting machinery. Cal/OSHA issued five citations to the company. Wyoming OSHA issued $54,528 penalties to Saratoga Forest Management for failure to provide adequate covers and guarding for open pits, tanks, vats, and ditches; guardrails to separate employees from dangerous machinery; and machine guarding to protect employees from points of operation and rotating parts. 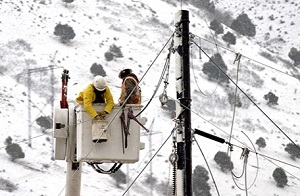 Wyoming OSHA issued 14 citations, including one repeat. Lucky Strike Entertainment LLC has been ordered to pay $40,000 in back wages to a mechanic who alleged he was terminated after voicing concerns about unsafe working conditions at a bowling center in Lombard, Ill. Lucky Strike will also expunge the termination and all references to this action from the employee's record, and provide a neutral reference to prospective employers. For more information, see the news release. 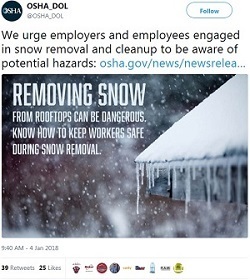 OSHA and Associated General Contractors of Georgia are sponsoring a cold weather safety stand-down Jan. 22-26 to emphasize the importance of workplace safety during the winter months. Employers are encouraged to voluntarily stop work for an hour to review best practices and train employees on winter weather-related hazards such as cold stress, slips, and falls. For more details and to register, read the news release. 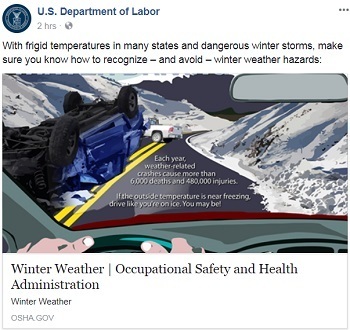 Visit OSHA's webpage for information on protecting workers from hazards while working outside in winter weather. 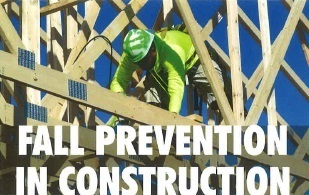 The National Framers Council (NFC), is offering free four-hour educational courses from February through August on fall prevention in construction with an emphasis on safety during roof truss installation. The course includes classroom instruction and hands-on training, featuring a fully functional, small-scale roof structure to replicate roof truss installation. Contact NFC staff for more details or register online. 10 easy things to start a safety and health program. Use OSHA's new tool to look back at past incidents to move your program forward. Find a course to learn about completing your OSHA 300 log. The Safe + Sound Campaign encourages every workplace in the United States to have a safety and health program that includes management leadership, worker participation, and a proactive approach to finding and fixing hazards. The Safe + Sound Campaign supports employers' efforts by offering free webinars; resources from campaign organizers; and local events to support safety and health program development. For ways to get started and for other resources, visit the Safe + Sound Campaign webpage. Phillips 66 Spectrum Corp., a maker of automotive and other lubricating oils, contacted the Tennessee Occupational Safety and Health Administration (TOSHA) for help developing an exemplary safety and health program at its facility in Selmer. As a result of its 3-year collaboration with TOSHA's On-Site Consultation Program, the facility has worked more than one million hours with a lost work case rate 87 percent below the national average and a recordable injury rate that is 69 percent below the national average. In recognition of its commitment to protecting workers, the site has been accepted in the Safety and Health Achievement Recognition Program. For more information, see the company's success story. OSHA signed a strategic partnership with Miron Construction Company Inc., the Wisconsin On-Site Safety and Health Consultation Program, 23 contractors and subcontractors, five local trade unions, and an insurance risk consultant. Participants agreed to promote worker safety and health on a dormitory renovation project at the University of Wisconsin-Eau Claire. OSHA, along with the Connecticut Department of Labor's Occupational Safety and Health Division, the New Haven Building Trades, and Dimeo Construction Co. signed a strategic partnership to promote workplace safety and health, and educate employees on hazards during construction of a new science building in New Haven. OSHA recently renewed a five-year alliance with the National Association of Women in Construction that will focus on hazards of particular concern to women in the industry, including personal protective equipment selection, sanitation, and workplace intimidation and violence. Federal OSHA signed an alliance agreement with the North Central States District Council of Ironworkers, the Ironworkers District Council of St. Louis and Vicinity, and Iowa OSHA, that will focus on reducing worker injuries in steel erection. A hole was cut into the side of this whey tank to reach the worker inside. An addition to OSHA's Fatal Facts series emphasizes the hazards of working in confined spaces on farms. These spaces include grain and feed silos, sump pits, and manure storage tanks. Employers should ensure measures are put in place to alert workers to a potential hazardous atmosphere inside confined spaces and prevent workers from entering them without protective controls. 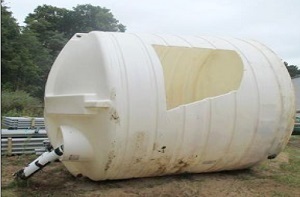 The fact sheet examines an incident in which a worker asphyxiated inside a whey storage tank. Each Fatal Facts publication describes a case in which there was a failure to identify and correct hazardous working conditions before a fatality occurred at the worksite.